This flowering bulb native to South Africa grows into a large clump of elegant flat wide leaves, up to 1 m long. Bulbs are very large, up to 20 cm in diameter and the mostly stay above soil. It is a supreme Crinum for the garden and takes light frost. We ship a gigantic bulb, ready to bloom in less than one year. This flowering bulb native to South Africa grows into a large clump of elegant flat wide leaves, up to 1 m long. Bulbs are very large, up to 20 cm in diameter and the mostly stay above soil. Very showy large flowers appear in late summer. In mediterranean countries with a dry summer, most leaves will shed before blooming. 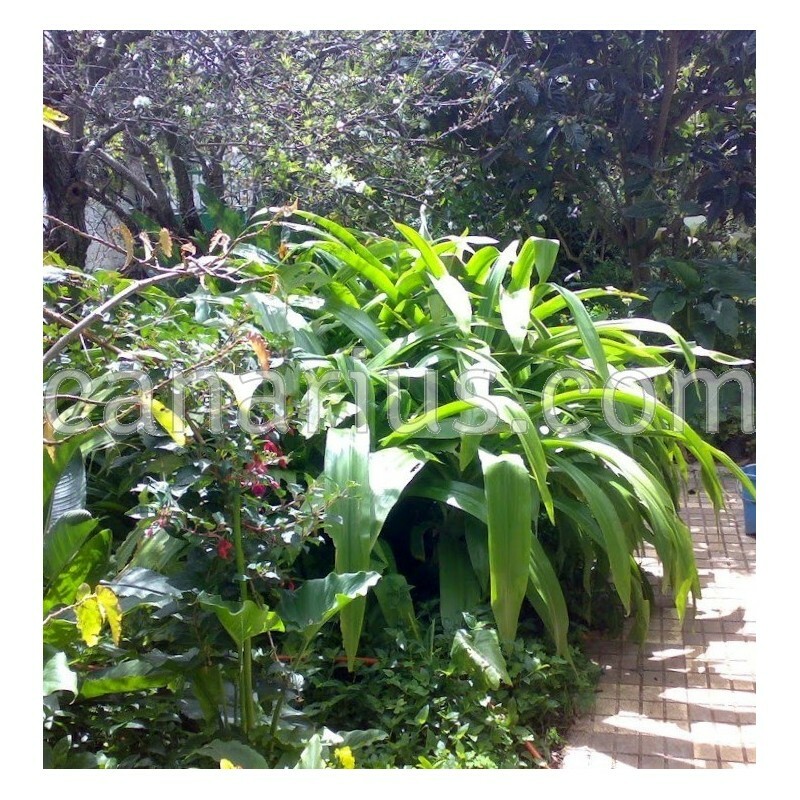 According to www.plantzafrica.com, "Crinum moorei" is found in the South African eastern seaboard coastal forest from the northern Eastern Cape (Port St Johns area) in the south to northern KwaZulu-Natal (Mtunzini District). It grows well in light shade at higher altitudes if protected from frost. 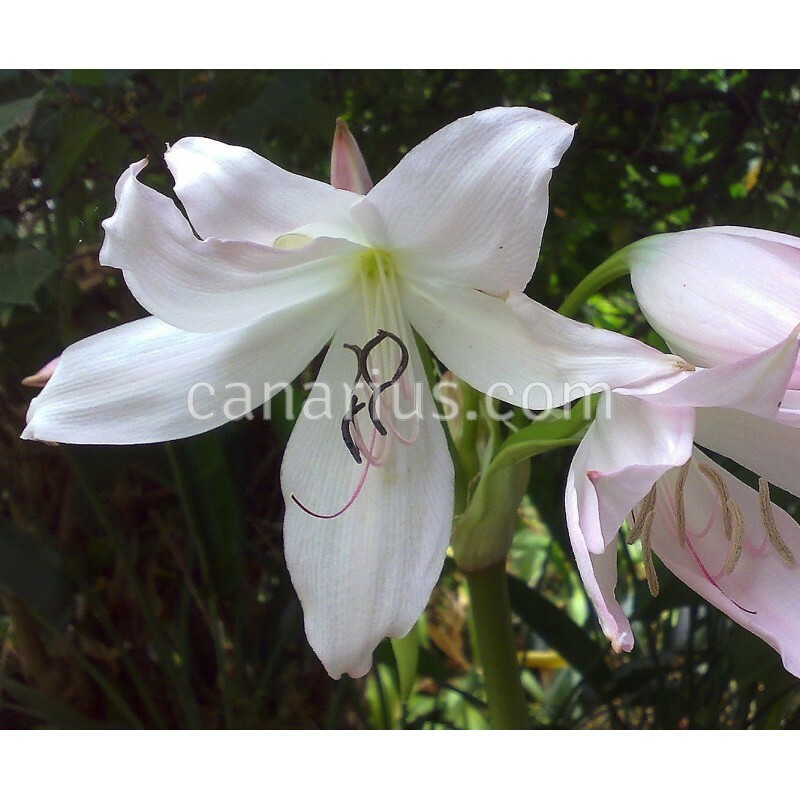 (...) Crinum moorei is found in large colonies in damp, marshy areas in the shade. Bulbs (...) were found on the margin of a patch of coastal forest in heavy black soil near water. Flower scent appears stronger in the evenings suggesting an evening moth pollinator. 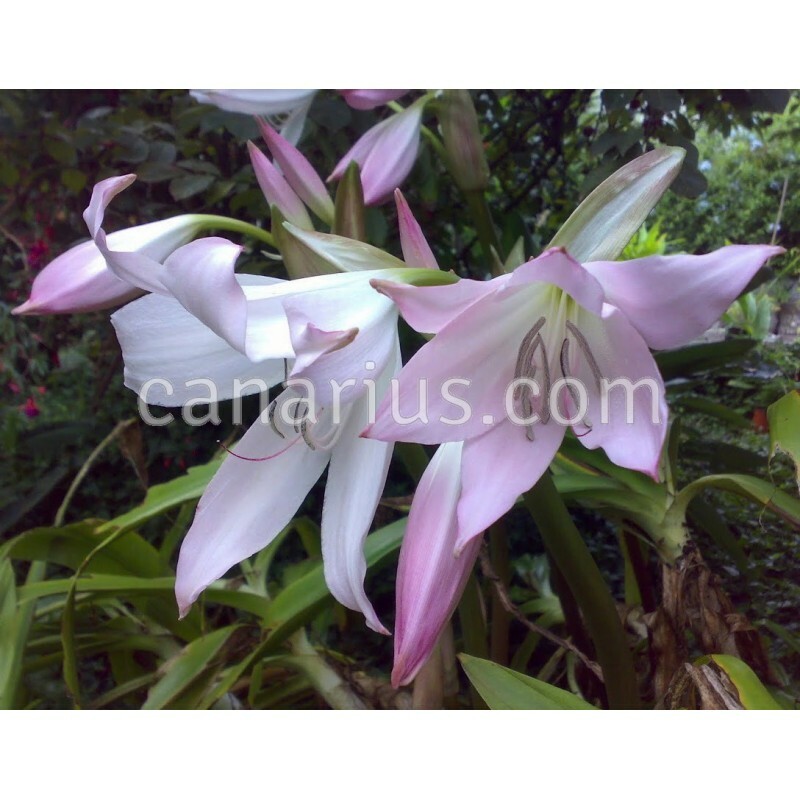 It is a supreme Crinum for the garden. It is easy to grow and will take light frost. 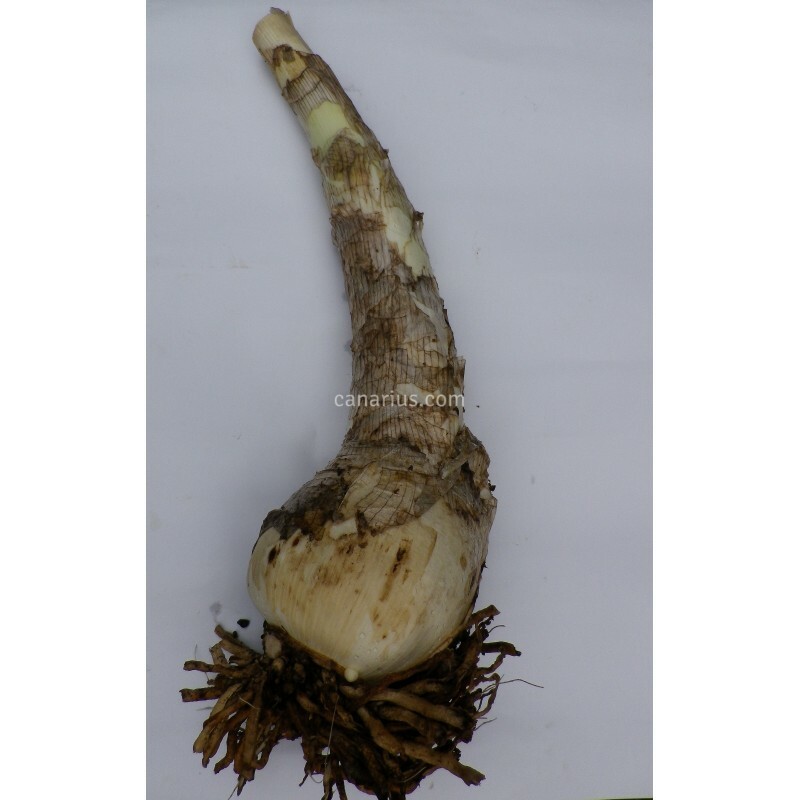 We ship a huge mature bulb, much like the one shown in the picture. It is ready to bloom in less than one year.